Guantanamo Bay, Cuba, Jan 2017. This is a picture of a guard at the prison. 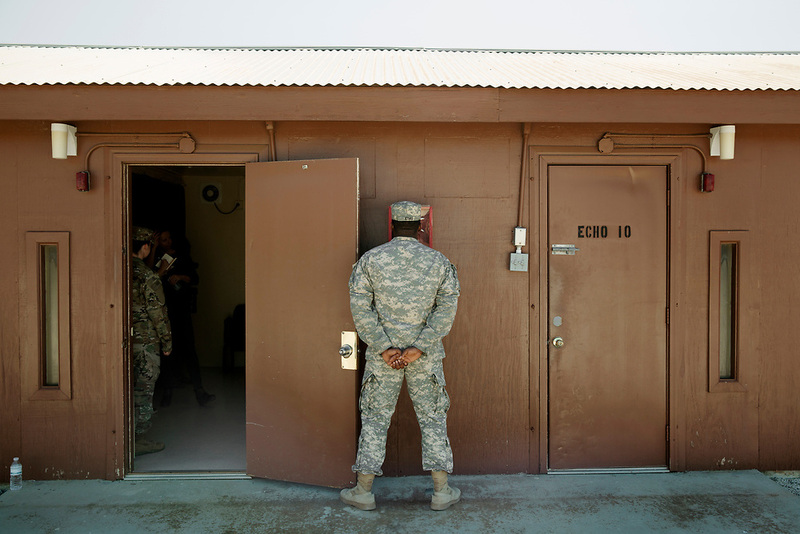 At Guantanamo you are under military censorship and you are not allowed to use a picture clearly identifying prisoners and guards so pictures of the prisoners or guards are backs or silhouettes. Every day the military go through your pictures and delete the once that are not approved.